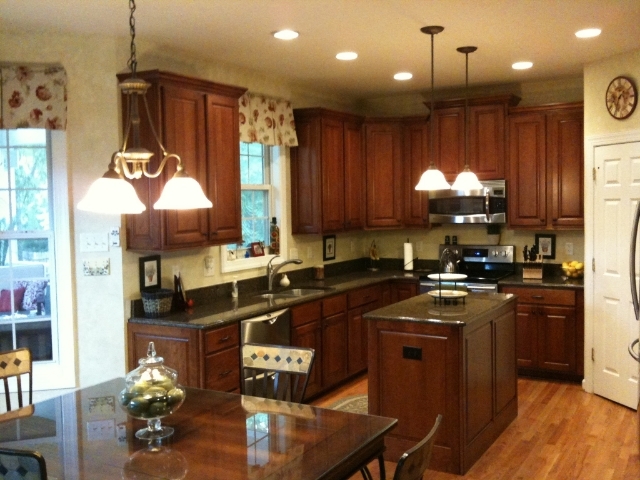 Kitchen Cabinets are a cost effective solution for updating your kitchen! 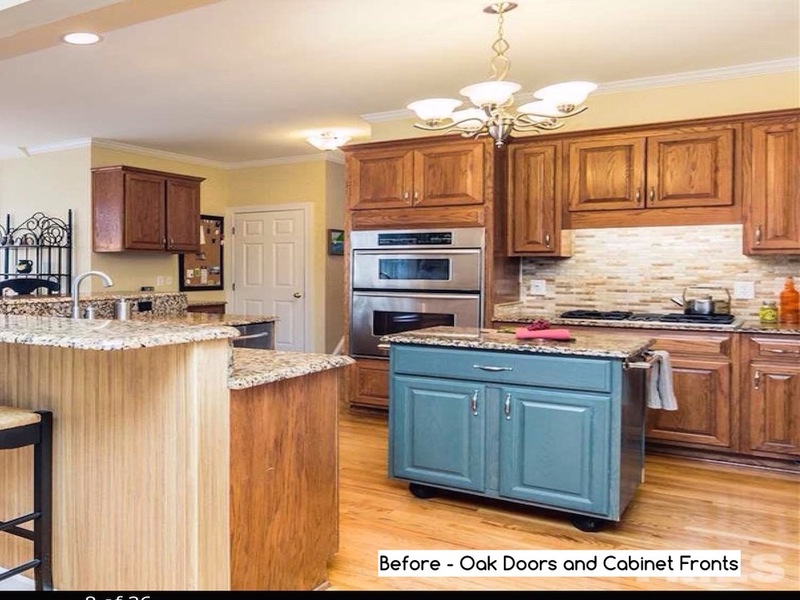 Bull Restoration can design and build new or refinish your existing cabinets to meet your renovation goals and budget. We guarantee quality results with every project. Call us today with your project idea, and we'll work up a custom quote for you. Often, refinishing is not only the most cost effective solution, but also the highest quality as well. We can also refinish Oak cabinets without the grain showing in the finish. Refacing is a good option if your desire is to have a lighter color wood grain finish and your cabinets today have dark stain or are painted. In this case, Drawer fronts and doors are replaced and cabinet frames are covered with new wood. We then stain all wood to the color of your choice. New doors can often dramatically change the appearance of your Kitchen, doors carry most of the "styling cues" and can become outdated. 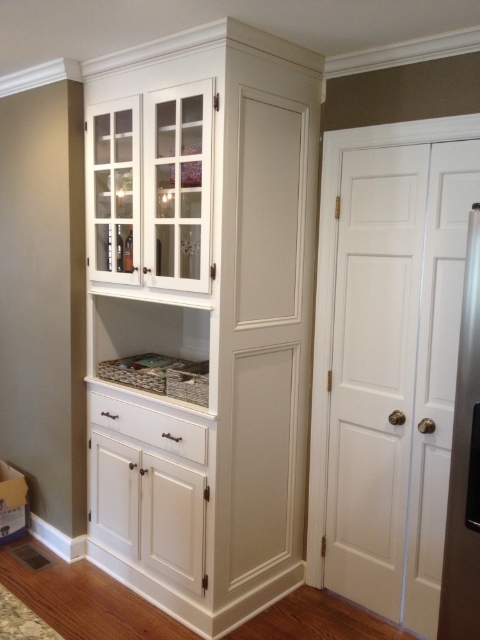 Redooring also allows allows older cabinets to have "Euro" hidden hinges to give them the final updated look. We design and build all our custom cabinets and islands. The benefit of two decades of of building and restoring furniture allows us to bring superior craftsmanship and quality to your project.